GCT Studios gives us a look at what Rocket Raccoon would be like in the world of the Jwar Isles... and if he was a weasel instead of a raccoon. 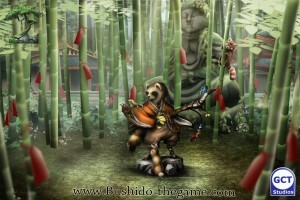 The first piece of concept art for Bushido's Wave 20. As well a brand new way to redeem your Silvermoons.